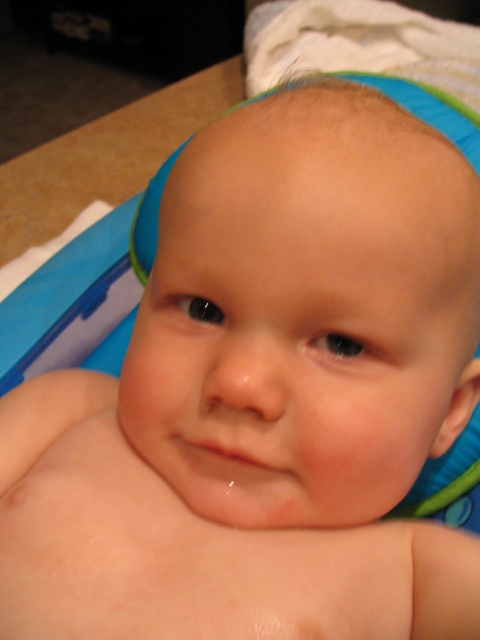 The Starnes Family: Too Big For The Baby Bath? I am terrible about bath pictures. Never have been good about taking them....believe it or not...that's the one time I always forget to photograph. So, I finally remembered. 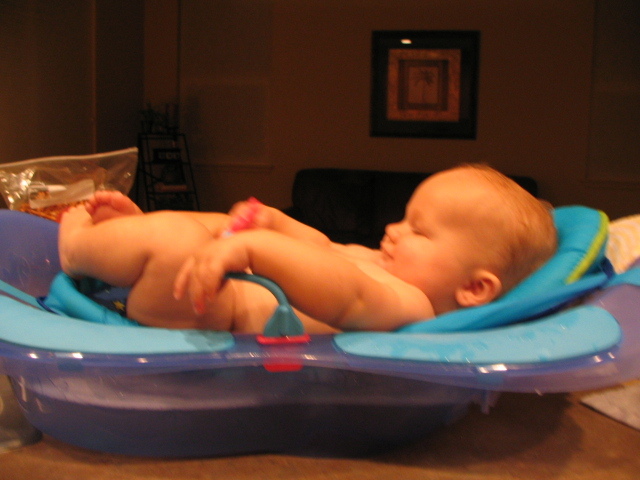 Then, upon viewing the photos, it occured to me how big this baby looks in this tiny bathtub. I can't remember what the weight limit is, but I'm quite sure we're pushing it. What a cutie! I can't wait to see him in a couple of weeks! OK, Miss Shannon. He can't sit up!!!! The chubby guy is in an unusual state....too big for most baby things (carrier included) and not fully sitting yet. Hopefully in a couple of weeks, he'll be there. Chubs is too big for that tub. I totally understand. Blake was a big baby too that couldn't do things very soon because of his size. He'll get there soon!